Based in Canada and with offices all around the world, Premier Tech Chronos (PTC) is one of the largest packaging equipment manufacturers in the world with the Animal Feed and Feed Ingredient market being a very important market segment. Well-known in the flexible and the rigid packaging industries for its state-of-the-art machines, Its wide product portfolio includes weighing and feeding systems, bagging machines, case packers, robotic and conventional palletizers, stretch wrappers and stretch hooders. PTC is committed to providing you with the most valuable services in the industry, including free lifetime technical support 24/7, 365 days a year, quick spare parts delivery, over 140 field technicians worldwide, equipment retrofits and modernization, periodic maintenance program for efficient production and numerous operator and maintenance staff specialized training program. Our WECARE guarantee offers every customer a passionate team driven by a unique client services philosophy. Ag Workers Insurance provides access to multiple insurance products and services that help enrich the lives of their membership...including personal, business, auto, homeowners, farm and ranch, flood, recreational vehicles and renter’s insurance. If you reside in Texas or Oklahoma, contact them today for your free quote. A friendly customer service representative will be happy to help you save money - 800-772-7424. Hertel Insurors are the only professionals offering the Risk Reduction Approach™ insurance program to TGFA members. We are the creator and exclusive agents for the AgriComp Workers’ Compensation safety dividend group. Bill and Landon Hertel are familiar faces at the TGFA Annual Meeting and they always have something new to offer. C-TEC specializes in repair and restoration of concrete storage facilities using Gunite or Shotcrete to install steel reinforced liners. We also provide Crack Repair, Demoli­tion/Explosion Repair, Hopper Repair and Installation, Roof Deck Repair and Installation, Structural Analysis, Below Grade Waterproofing and have a Facility Mainte­nance and Repair Service. C-TEC travels nationwide and provides free estimates. JMI Covers manufactures reliable, cost effective Agricultural Storage Covers for companies who utilize outside storage for their commodities. We provide our Storage Covers, Installation Services and Cover Strapping Systems for millions of bushels each year. Central Bag Company for over 85 Years has been a dependable one stop full service packaging supplier. 100% Employee Owned Providing Excellent Quality and Service with Manufacturing and Distribution for all your Packaging Needs. Bulk Bags, Burlap, Cotton, Multiwall Paper, Textile Bags, Polypropylene, Polyethylene, Laminated Woven Bags, Plastic Seed Boxes, Sewing Tapes, Equipment and Stretch Wrap. Gasaway, Inc. specializes and has been actively involved in the design and turn-key construction of rice milling and drying, grain elevator drying and storage, and feed mill construction business, including automatic feeding systems, pellets, hammer and roller mills, feed storage hopper tanks and material handling conveying systems since 1976. We have designed and built feed storage tanks, materials conveying, and automatic feeding systems for the cattle, poultry, and aquaculture industries. Visit the website at www.gasawayinc.com to see how Gasaway Inc. can improve your business. CCS Group, LLC is a leading expert and trusted resource for the safety and longevity of concrete structures. Our focus is on safety, superior customer service and relationships, and quality materials and workmanship. Services include: Shotcrete/Gunite silo liners, Carbon Fiber Technology, Hopper Repair and Installation, Concrete Crack and Spalling Repair, Catastrophic Failure Repair and Prevention, Roof Coatings, Structural Assessment Services, and Free Estimates. Visit us at ccsgrouponline.com or 1-855-752-5047. VICAM, A Waters Business, is dedicated to developing rapid diagnostics for the detection of aflatoxin, ochratoxin and other mycotoxins in food, botanical & agricultural products. Trusted in more than 100 countries to ensure food safety, VICAM products are AOAC and USDA approved. Contact us today: 508.482.4935, [email protected] or visit www.vicam.com. Sullivan Insurance Agency has been insuring agribusiness since the 1946, providing property, casualty, employee benefits and numerous other services. We have witnessed the evolution of agribusiness & understand what is needed to create a successful and beneficial partnership. Romer Labs is a leading provider of diagnostic testing solutions for food pathogens, mycotoxins, allergens and GMOs to ensure the highest quality standards at all stages of the supply chain in the food, agricultural, and feed industries. Our broad range of innovative tests including our new GIPSA-approved AgraStrip Aflatoxin Quantitative WATEX Test Kit and our ISO 17025 accredited laboratory services play a pivotal role in integrated food safety solutions by “Making the World’s Food Safer”. STE Oil Company is the leader in the feed & grain industry for dust control. Our industry based experience and knowledge has lead STE Oil to be your best source for mineral oils and soybean oils. Our company is committed to developing partnerships with our customers. With a commitment to quality and customer service, we also sell tanks and manufacture spraying equipment. Today, STE Oil Company has developed relationships with several different suppliers offering top quality oils. Our customers ultimately benefit from these relationships by receiving the highest quality products at competitive prices. STE has been focusing on the grain and feed industry since 1987. 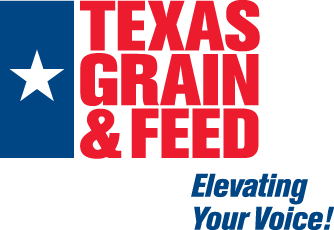 We look forward to continuing relationships and business with the Texas Grain & Feed Association and its members. Great Plains Chemical and Fumigation Services specializes in insect and rodent management plans, as well as fumigation service. They also sell grain fumigants, protectants, insecticides, foggers, safety equipment, bin temperature cables and rodent control equipment. The Andritz Feed and Biofuel Division is a powerful resource for the world wide feed milling. We are among the world leading manufacturers and suppliers of process equipment to the feed milling industries worldwide. Through our five business units we serve the global market. ANBO INC provides an aftermarket alternative for pellet mill parts and service for most major brands. Whether you need a complete re-build, a routine repair, or simply a replacement part, let our experienced and knowledgeable team help you keep your equipment running smoothly. Quality, Productivity, and Reliability is our goal. We will work together with our customers to provide the best possible service and solution. M&M Specialty Services, LLC is a company specializing in Protecting Your People & Your Stored Products. We Protect People by providing them with the knowledge and understanding of any Personal Protective Equipment that they might need to aid in keeping them safe, the job site safe and their fellow workers safe. Our Personal Protective Equipment products are field tested quality products chosen for comfort, durability, ease of use and cost of ownership for our customers. We Protect Products with 25 years experience of proven products and services designed to protect commodity quality while in storage. You Get Out What You Put In! Bushel™ is the grain industry's first software that allows grain elevators, cooperatives and ethanol plants to connect with their growers digitally to provide real-time information. Offered through business-branded apps, Bushel includes real-time scale tickets, contracts, pre-pays, cash bids, e-sign and contract management. For over 30 years, Red River Commodities has manufactured wildlife feed and been a comprehensive supplier for all types of seed. Out of our Lubbock, TX facility, we offer our production capabilities to you as a co-packer for your scratch or other products, freeing up your time and space to focus on other tasks. Your bag, your recipe, delivered to your doorstep or customer as if you produced it yourself. We also offer our complete Pecking Order lineup of poultry treats including mealworms, boonworms, premium scratch blends, and innovative items that are exploding across this market. Please stop by to discuss how we can partner with you to help your business run smoother and address any increased demand you are currently facing. Visit our website at www.redriv.com/wildlife-food to learn more. Sioux Steel has intuitively expanded its products to continue to grow with the agricultural industry. ProTec engineered buildings provide a fabric building that is easy to set up, easy to maintain, and can be utilized for anything from livestock shelters, to grain storage, to equipment storage. Sioux Steel also offers grain bagging systems as a flexible grain storage option. The Daay Bin Paddle Sweep provides a safe and effective way to empty both farm and commercial grain systems. Visit Sioux Steel at www.siouxsteel.com and see what they can do for your business! For more than 30 years, we have manufactured impact and abrasion resistant spouts, telescopic spouts, chutes, U trough liners, drag conveyor flights and rollers for grain handling and industrial uses. We are experienced and capable of creating durable plastic products custom made for your needs. Malcolm and Lynne Johnson come all the way from Canada to serve our industry. So make sure and stop by booth 24 and ask about their services. Feed mill molasses products, pellet binders, liquid supple­ments and solid supplement tubs. The description is so simple, but the company can have a complex impact on your business. The DIACON® IGR family of products protects stored commodities. EPA approved, and tolerance exempt, DIACON® IGR applications are approved virtually eve­rywhere stored product insects are a problem. Available in two formulations – the liquid DIACON® II and the dry formulation DIACON®-D to meet insect control needs on-farm as well as off-farm storage sites. The Texas Wheat Producers Board (Booth), established in 1971, was developed to provide support and funding for wheat research, education and market development. Today, the board contributes collected producer funds to various projects with the goal of improving wheat productivity, increasing access in foreign markets and educating producers and consumers about agricultural issues. For more information, visit www.texaswheat.org. General Contractor with "Old-fashioned principles applied to todays construction techniques" since 1963.For more information, visit www.thenaycompany.com.